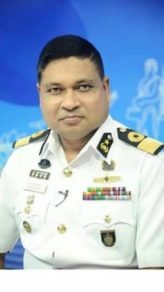 Mohammad Mozammel Haque is the President of the BIWTA, which is the authority responsible for controlling river transport in Bangladesh. He explains the challenges that rivers face in this country, one of the most vulnerable to the climate change. Siltation, erosion… are major problems that threaten human activities. 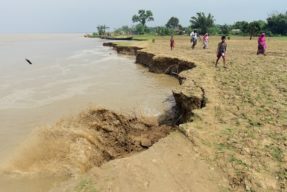 How could you describe the challenges that rivers face today in Bangladesh, especially in the Ganges-Brahmapoutra delta? The most important challenge is the siltation that comes from rivers of various countries such as India, Nepal, Bhutan… This is about 1.5 billion tonnes of silt a year that comes to the system. The delta is a very dynamic and active system, because of the combined flows of Gange, Brahmapoutra and Meghna rivers. It changes its course every year -about 4 to 5 km from one place to another – and during the monsoon season a part of the land area is flooded. Millions of people live in islands composed of sand and silt on the three main rivers. These islands are fertile but precarious because of the erosion and landslides. People leave their homes, sometimes some of them loose their life. This issue is reinforced by global warming and water level rise. Another challenge is the maintenance of the navigability of the river. This waterway is strategic, it’s the official route for ships that comes from India and goes to Bangladesh. It’s a true economic challenge! Could you give us more examples of the consequences on the environment? Sometimes the river is nearby the city. Some cities are constructed on the river embankment. On the coasts there are multi-storey buildings like schools, colleges, housings… They go under water because of the landslides. So this is a big environmental issue because we cannot take them out of the bay. Fisheries are also particularly concerned. Preserve their activity is challenging. Sometimes there is also a social problem: when people have to migrate to other places, we have to accommodate them in a different area. So we have problems with housing. This is another problem we have to consider. And that’s different about floodings. Whenever there is a flooding, the Government has a good system of warning and forecast. The authorities know when a big flooding is coming, so they can temporarily relocate people to some other places, in constructions specially planned and located on the embankments. Children are taking care of and they can continue to go to school. We face this kind of phenomenon almost every year, so we know how to handle it. Sometimes, in case of severe floods during the monsoon, that does not happen every year, diseases can appear. So in that case, there is a public health issue that has to be taken care of by the medical department. According to you, what were the main outcomes of COP24? What are your expectations regarding the environmental situation in Bangladesh? In Bangladesh, we forecast that by 2050, maybe a third of the country will be under water, because of the sea level rise. It is a big concern due to global warming. Eventually, Bangladesh will lose land and many people will have to move around the country, leave their home, their activity…. It is important that COP tackles issues such as global warming and emissions of carbon. We hope that in the next few years we can fix the carbon problem in the industry and shipping. For example, new technologies for low-carbon ships and natural gas to heat buildings could be helpful. We are very optimistic and hopeful about the upcoming COPs. The recommendations given could be implemented to make positive change and create a sustainable model. As a member of the IFGR rivers Committee, could you tell us in what ways this membership helps you in your daily work at the BIWTA? So far, I’ve taken part at 7 sessions from 2015 to 2018. It has always been helpful. IFGR gives environmental solutions for the rivers, and our discussions tackle a a variety of issues … Recommendations are especially useful when it comes to pollution control and navigation. I’m looking forward to attending the next session in French Guyana about the sanitary topic. I’m very confident about the solutions that members, scientists and stakeholders, will propose, in order to deal with pollution and infectious diseases. Hello, I invite you to visit the following page, on the Initiatives for the Future of Great Rivers (IFGR) website :We are very optimistic and hopeful https://www.initiativesrivers.org/actualites/we-are-very-optimistic-and-hopeful/ Best regards.